Two people have been arrested in connection with Andheri's government-run Employees State Insurance Corporation (ESIC) Kamgar Hospital fire that claimed lives of nine people. 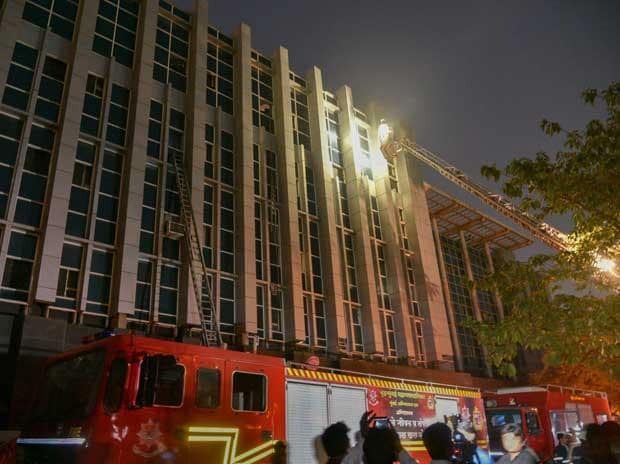 The fire which broke out on Monday injured over 150, mostly patients and staff. Speaking to ANI, Navinchandra Reddy, DCP, Zone-10, Mumbai informed that the two arrested are - Supreme Construction Company's site engineer and the supervisor. Reddy said, "Supreme Construction Company's site engineer and supervisor have been arrested in connection with the fire incident at ESIC Kamgar Hospital. Further investigation is underway." As per the preliminary report, the building material lying at the ground floor of the hospital for renovation work caught fire on Monday afternoon, which led to the generation of smoke. "People died due to suffocation," police claimed. After the tragic incident, Maharashtra Chief Minister Devendra Fadnavis ordered an investigation into the matter. He also promised all possible assistance to the injured. Yesterday, another fire broke out at the same hospital at around 7:54 pm. No casualties were reported the second time. Fire tenders were rushed to the spot and the situation was brought under control.